The Tyneside Collection is an upholstered oak chair and bench range designed for long periods of use, while remaining easily portable and stackable without the base cushion. Ideal for break out areas and multi-purpose public spaces. Designed by David Irwin, this stacking lounge chair was developed for an independent cinema in Newcastle upon Tyne and provides exceptional comfort while remaining easy to store and transport. 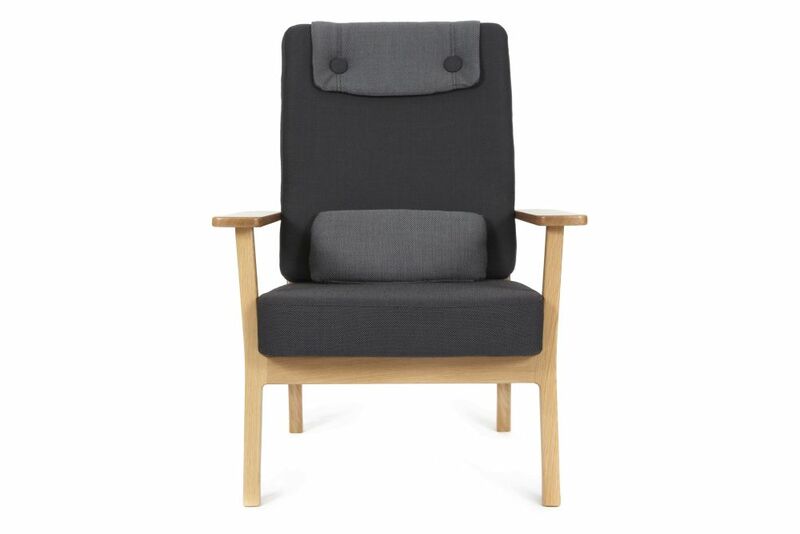 The pared-back design shows a Scandinavian influence and utiliseswelcoming, tactile materials such as solid oak alongside wool fabrics to give a domestic look and feel, whilst remaining highly durable for commercial use. A removable head panel and loose cushion adds to the comfort.